This home is located in the highly sought after neighborhood, The Knolls. Minutes to the pool, clubhouse, tennis courts and playground. Within 1 mile are several shopping centers, Streets of Southglenn, Whole Foods, Lifetime Fitness, Tony's Market, library and post office. 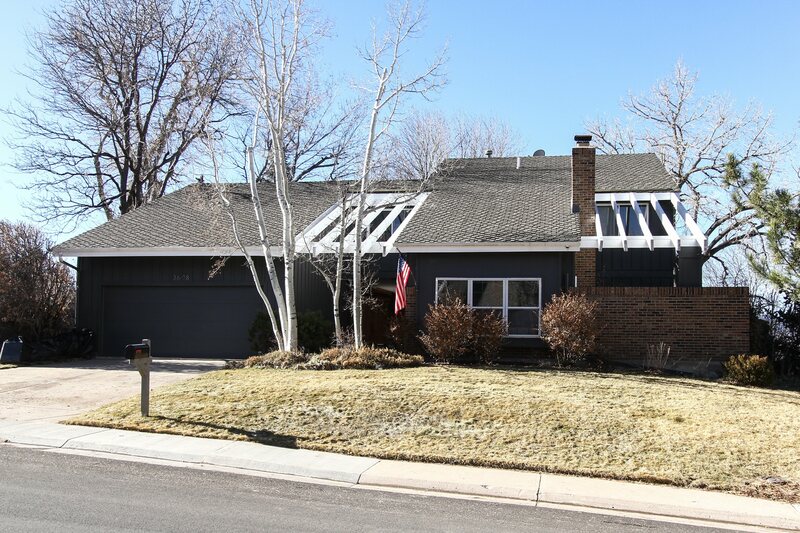 Close to C-470 & South Suburban recreation facilities. The owners have spent over $140,000 in updates and put their hearts into maintaining this home, adding amenities such as two large decks, perfect for entertaining and enjoying mountain views. New 5 1/2" plank Nydree Red Oak hardwood floors in entry, dining, kitchen and family room. Master suite offers huge walk-in closet and completely remodeled 5 piece master bath with double vanity, soaking tub, separate glass shower, silestone counters and travertine tile floors. Finished basement with newer carpet, wet bar, wine room, bedroom and remodeled full bathroom with granite and jetted tub. Newer exterior paint, water heater, 2 furnaces and radon mitigation system. Join us this evening to preview this beautiful home, Thursday, February 19th from 4:30-7:00 PM. Drinks and appetizers will be served.